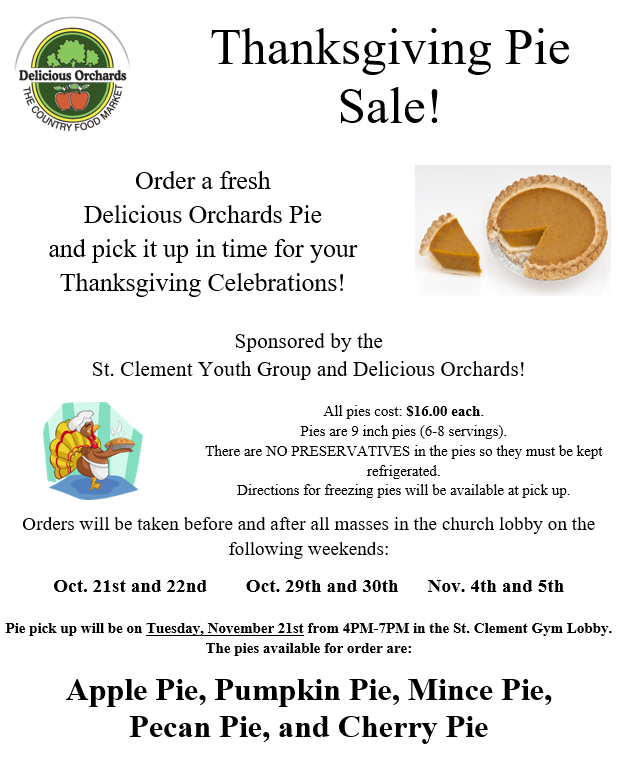 Place your order today for a Delicious Orchards pie for your Thanksgiving celebration! All proceeds will benefit the St. Clement Youth Group. All orders are due by November 10th. Pick up date is November 21st from 4:00-7:00 PM in the lobby of the St. Clement’s Gym. Click here to order your pies!